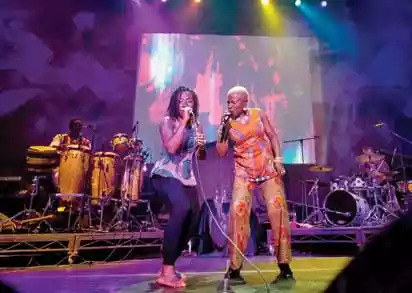 Hailed as the queen of African music, Angelique Kidjo performed songs from her new album titled Eve. The show got to its climax when she invited her fans on to the stage to dance with her, some showing off their dance steps. The show also included exciting performance from Nigeria’s Asa.